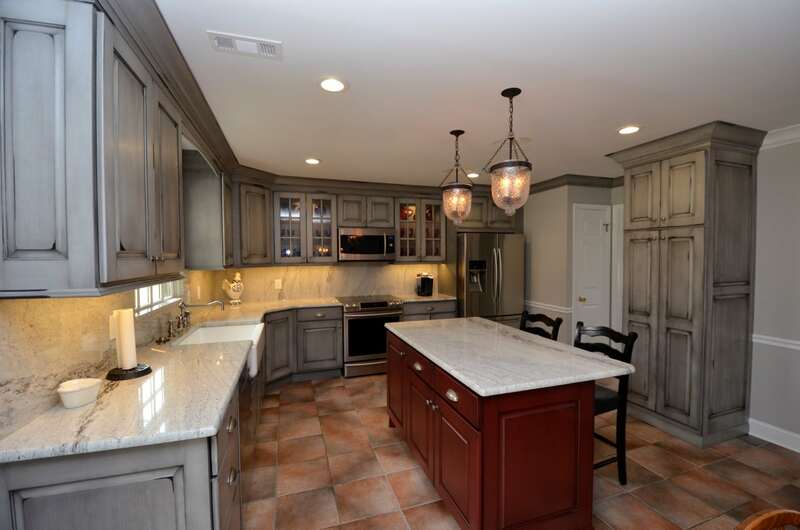 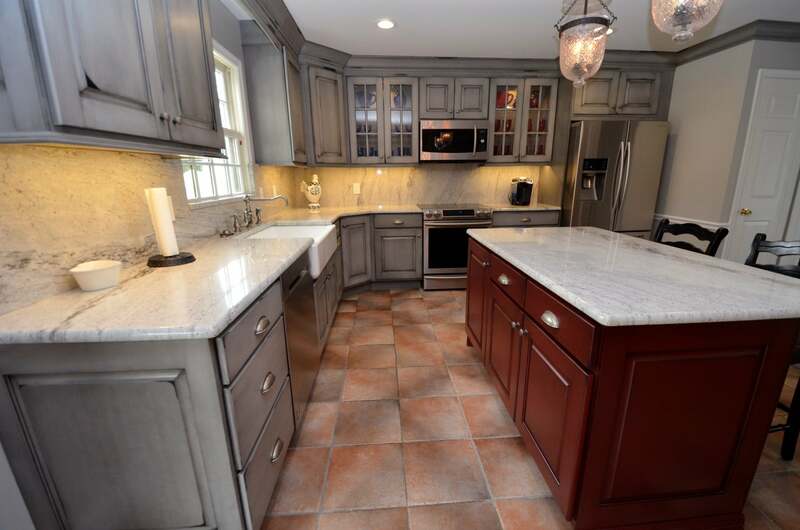 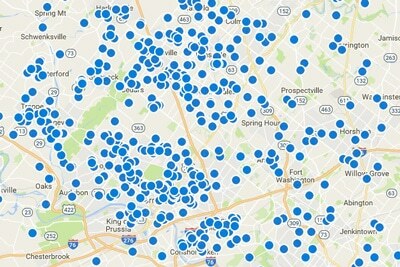 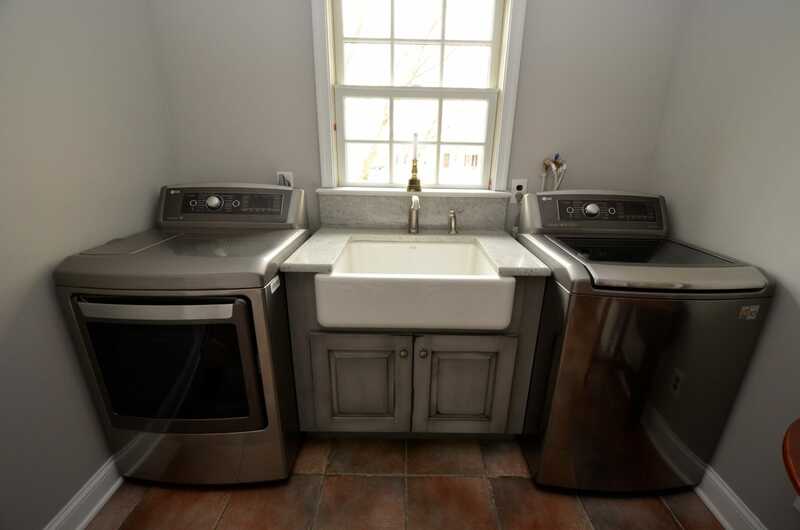 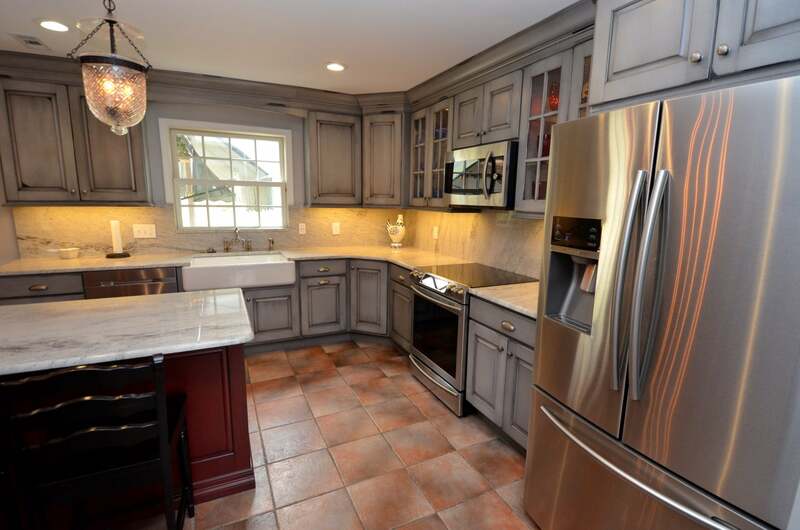 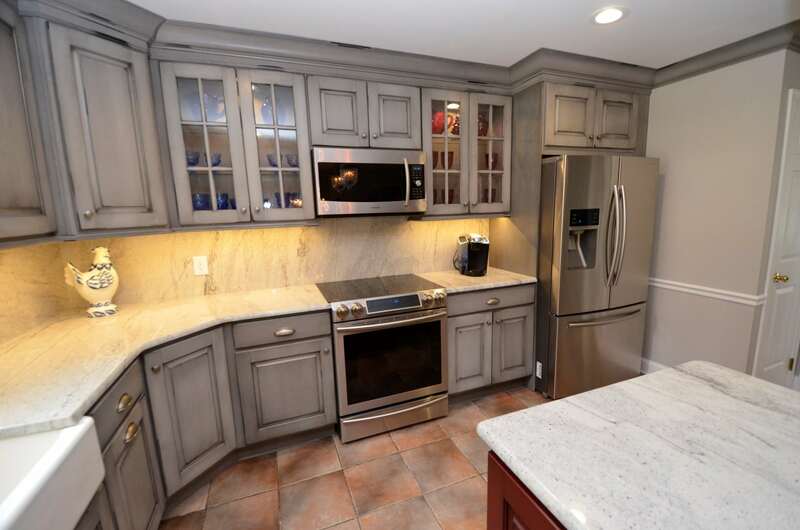 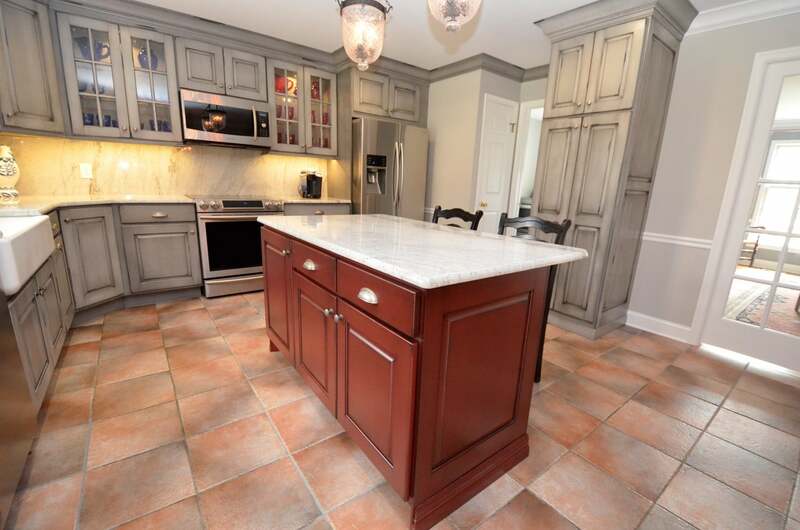 Plymouth Meeting Kitchen #2 - Volpe Enterprises, Inc. 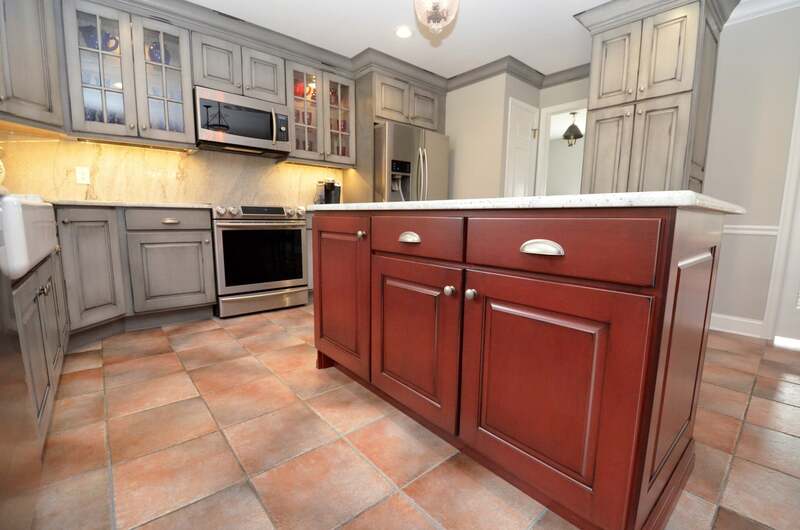 This casual style kitchen created a unique warm feeling in this home. 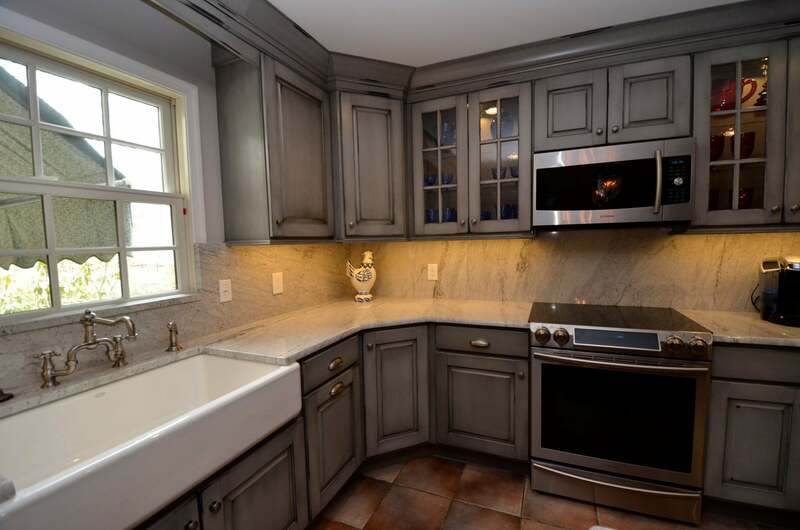 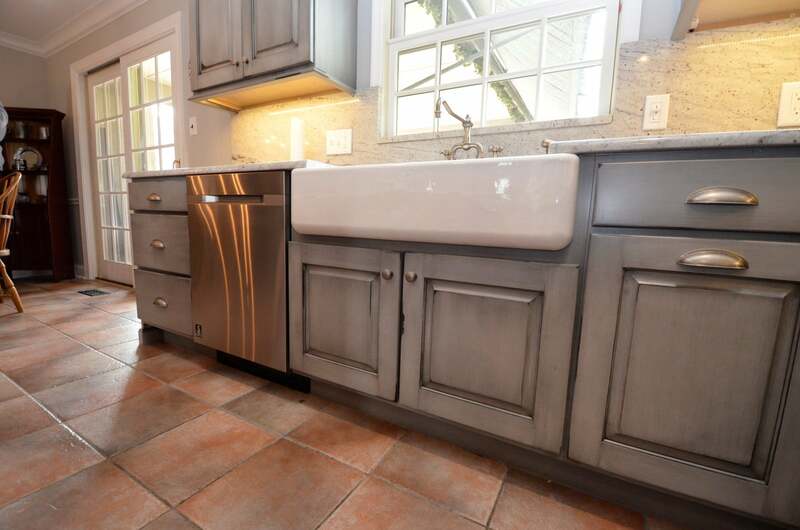 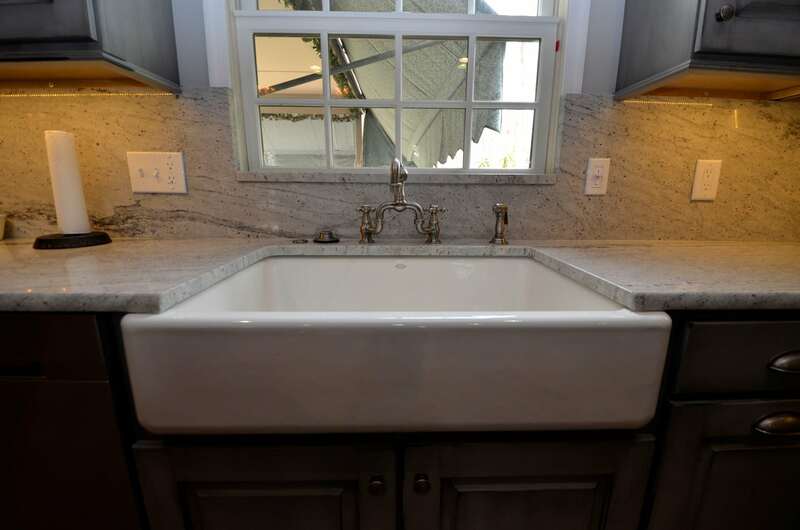 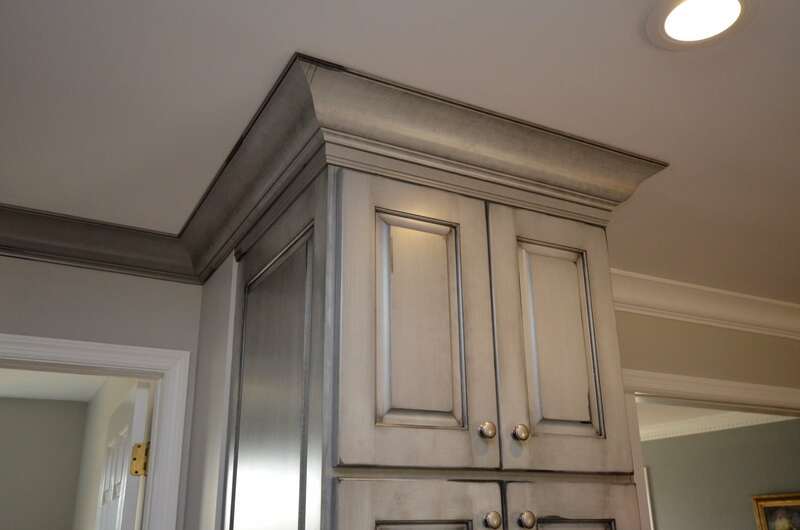 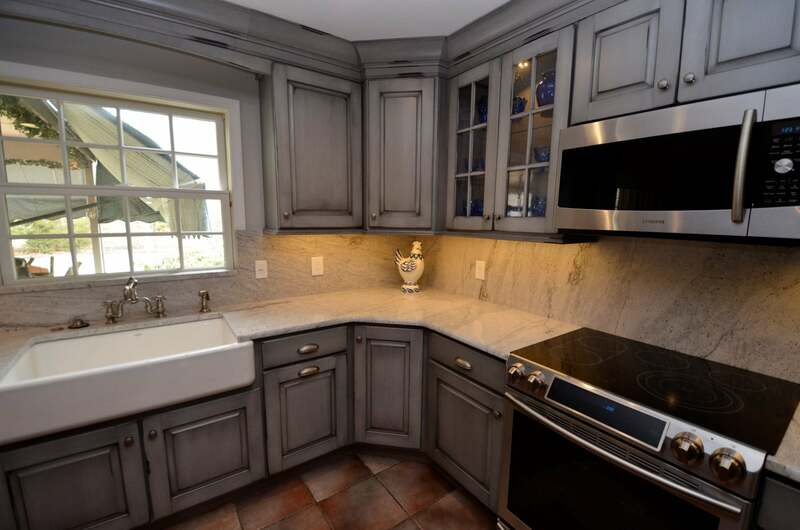 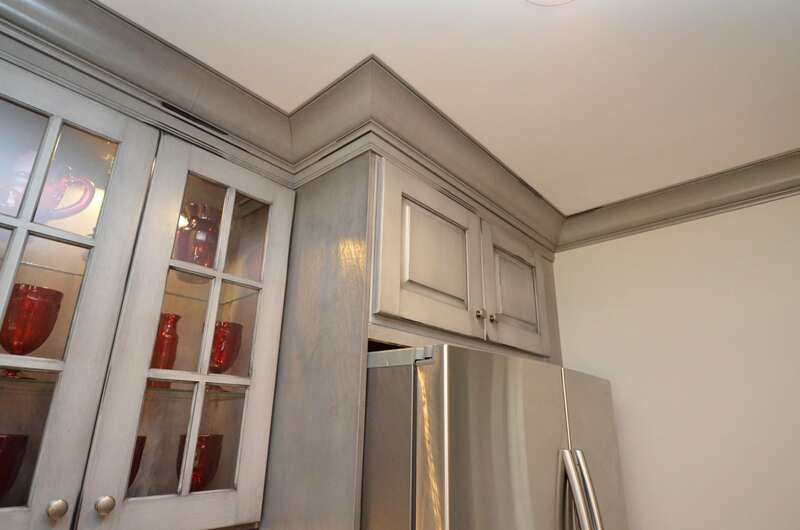 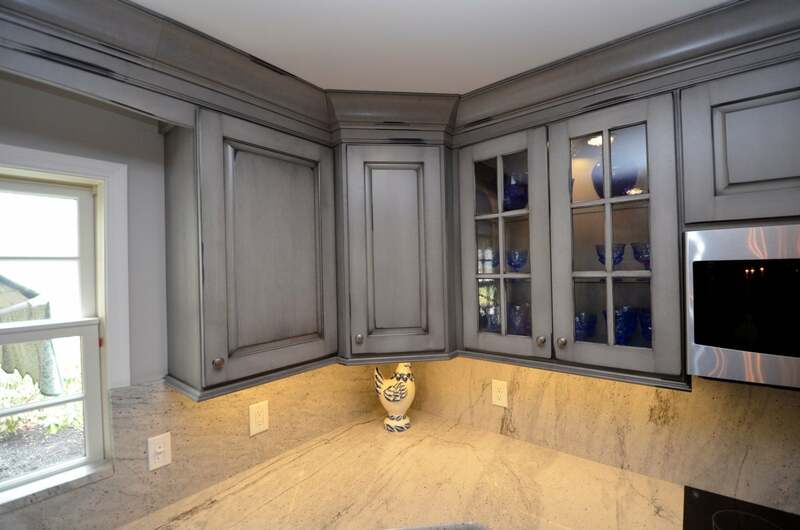 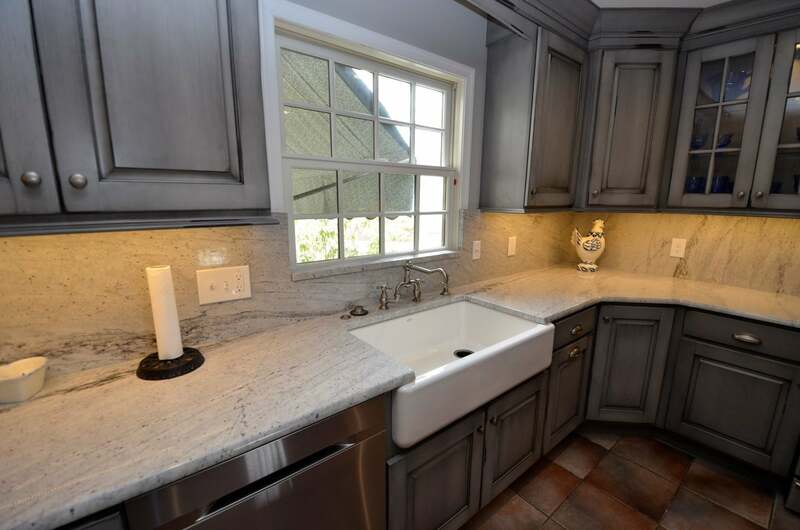 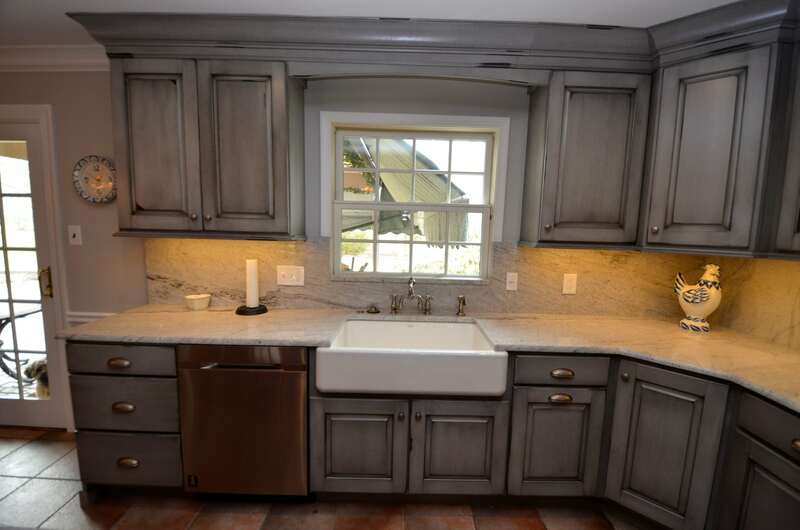 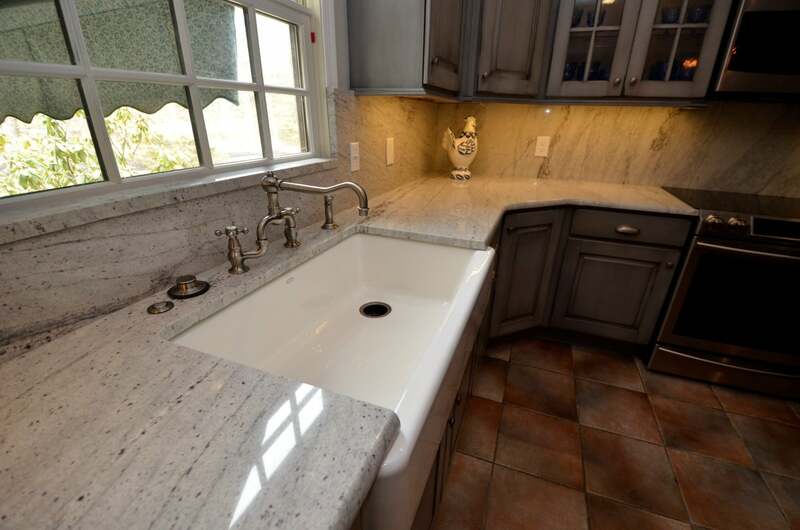 A distress style gray cabinets with a dark rub along with the country style sink and full granite back splash, all come together to create a space that feels like it has been there for years, but with all modern features. 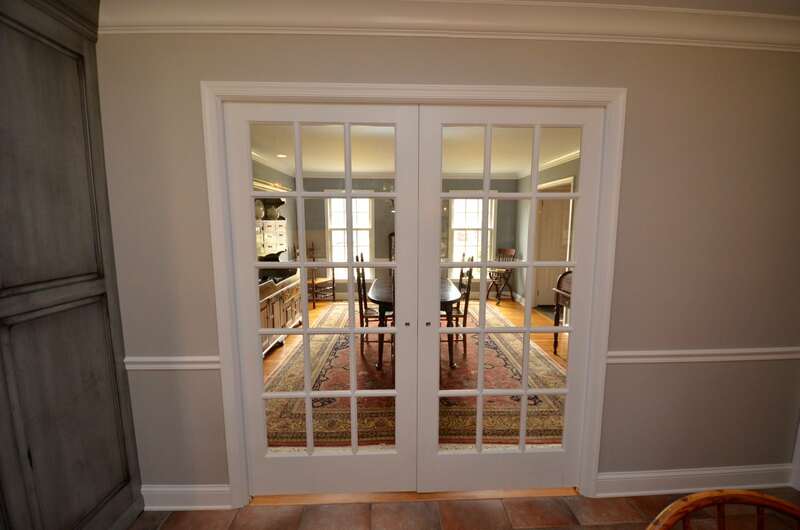 This renovation also included a widen entry with pocket doors into the existing dining room and the cabinetry was continued into the laundry room.